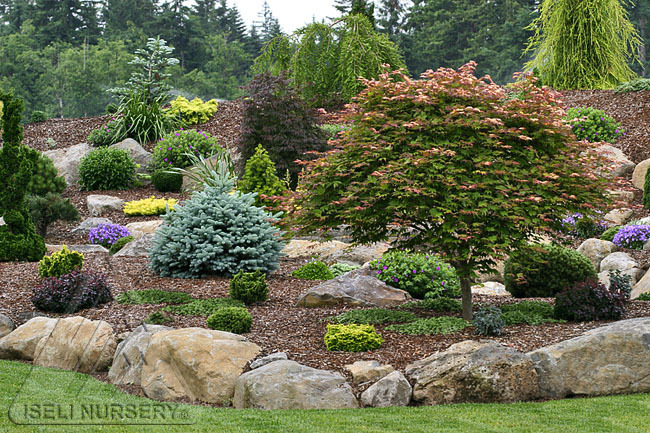 Conifers | Faddegon's Nursery, Inc. This is a view of the artistry that grew outside our back door. There were thousands of conifers and nary a weed! Did I appreciate it at the time? No… but I understand now! 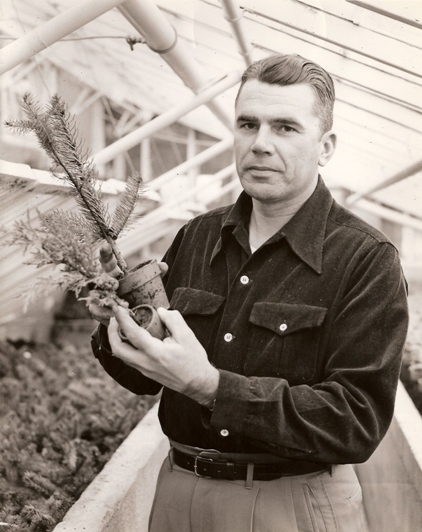 The larger specimens were grafted by grandpa, Cornelius Faddegon. His work really was artistry. Each evergreen was trimmed only with a pair of hand clippers. Every single branch was turned and considered as his vision of the perfect conifer took shape. 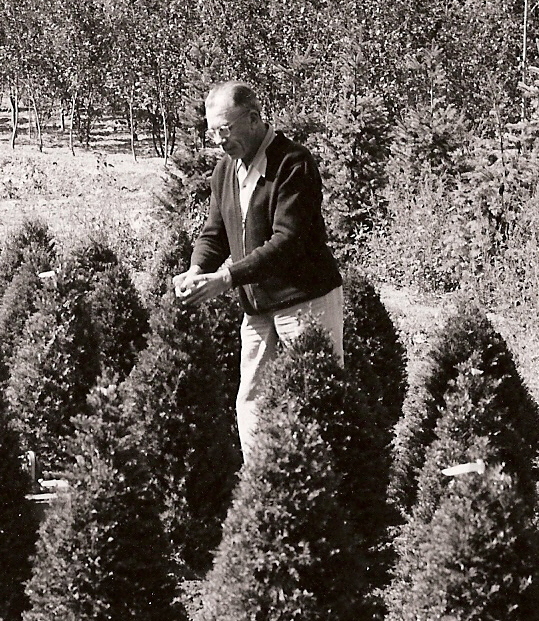 John Faddegon became the second generation of family dedicated to gardens. He too was meticulous about growing conifers. I remember him standing on a plank as he tended to the plants. The board kept the meticulously maintained earth from becoming compressed underneath his feet. Fussy? Particular? Absolutely! I wasn’t the only one who lacked appreciation for growing specimen conifers. My mother told me that her parents were concerned about her choice of a husband!!! The in-laws could not wrap their arms around any good reason why a seemingly ambitious and bright fellow would choose to grow plants that could not be consumed. It seemed a frivolous pursuit to Mom’s family who were very fine vegetable farmers. Why grow it if you can’t eat it? Cornelius and John would be amazed at the many cultivars of conifers there are to choose from today. The appreciation of conifers has grown in gardens all over the country. The conifers in this garden that Bob and I visited last year were the highlight of the design. The Japanese Maples weren’t too shabby either! 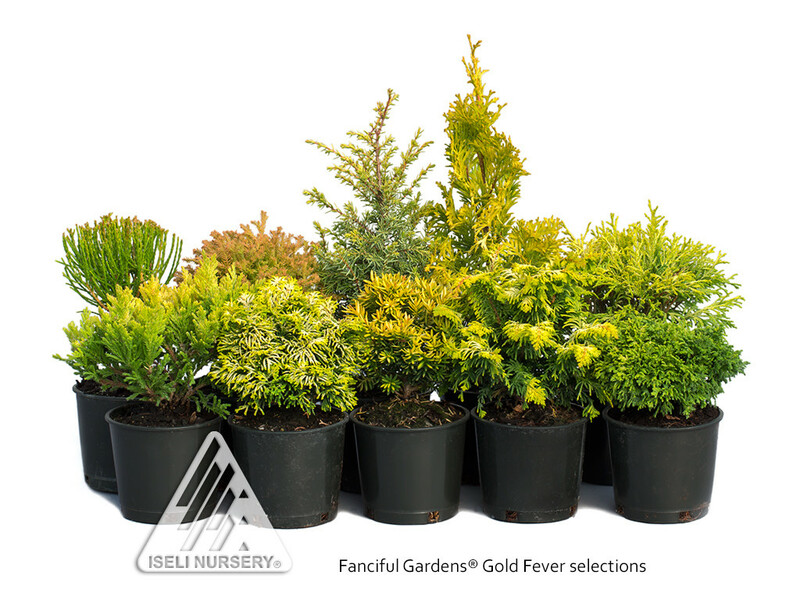 We are very interested in this Gold Fever collection of conifers. These might just find a home in our gardens this year!